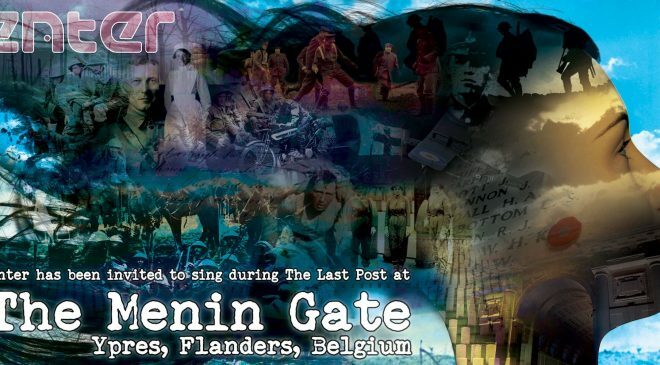 Enter will soon be performing at The Menin Gate, Belgium. Part of our Over The Wire project. 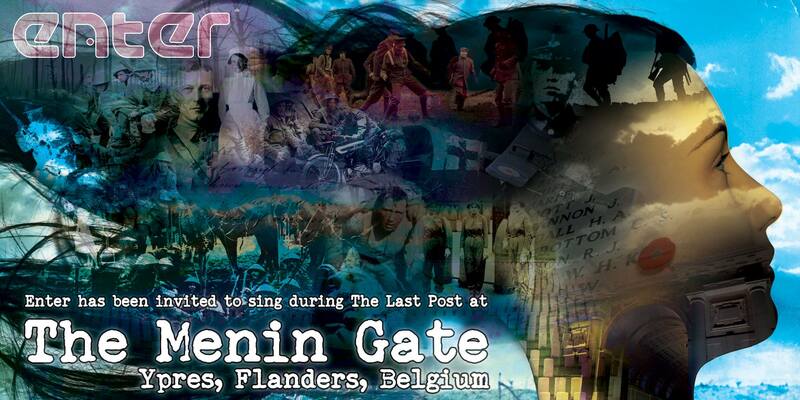 We are honoured to be performing our own, commemorative songs at this most iconic of WW1 memorial sites. Enter CIC is back in the studio conducting rehearsals for our HLF-funded WW1 commemorative project entitled ‘Over the Wire’. Over the next few months Enter CIC will be involved in an array of high profile international, national and regional commemorative WW1 events. We are honoured to be part of these commemorative events and we are all very much looking forward to getting started. We would also like to thanks The Gillian Dickinson Trust for help making this trip possible through part sponsorship. We will be following up this information with a fuller account of our tour of Belgium, so keep an eye on our timeline and social media pages.